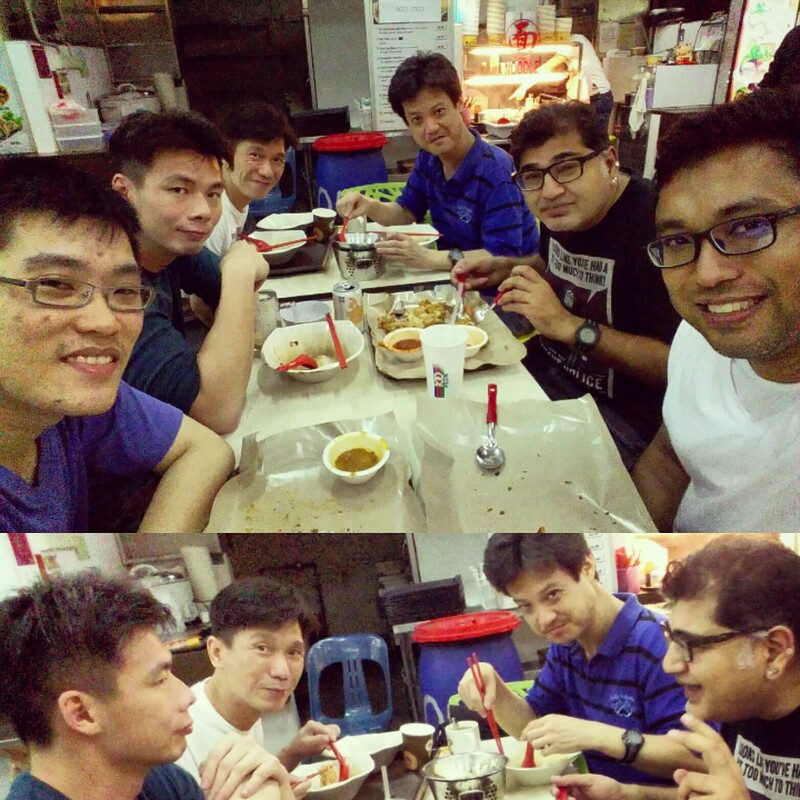 One of StoryCode SG’s aims this year is to extend the chapter family and create a more diversely inspired community. We managed to achieve some of this at our November meetup. The session was a tie-up with my 100 WRITERS project, basically a community initiative to help local storytellers finish and release original fiction on the internet. This month we looked at very basic ways to establish and develop narrative conflict in stories, by having two characters competing for a McGuffin. Two dogs, one bone. This is a classic approach that is still useful for anyone creating cross-platform story experiences, whether print or digital, text or multimedia, and even live performances. Everyone took some time to work on their own story concepts and see how they could apply this framework to make the dramatic stakes more compelling. Also at the meetup: representatives from other storytelling communities came by to share updates and extend invitations. 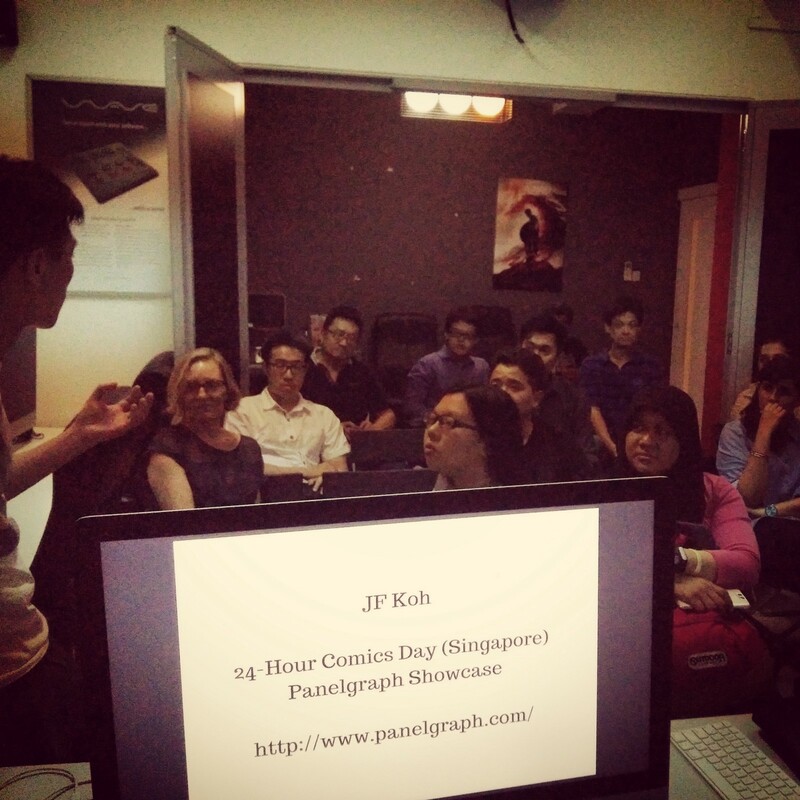 JF Koh organises the 24-Hour Comics Day (Singapore) and publishes Panelgraph Showcase, a free digital comics magazine focusing on fantasy, science fiction and horror. He’s looking for writers to contribute short stories, which can be adapted by the artists in his group. The theme for every issue is “Transformation”. He also organises monthly editorial meetings at the Toa Payoh Public Library, where members create comics and share knowledge. Join their Facebook group to find out more. Joelyn Alexandra and Sarah Coldheart are the SG Municipal Liaisons for National Novel Writing Month. They have a TGIO Party coming up for NaNoWriMo SG, and it’s open to all writers (5 Dec, 3pm Bishan Public Library Level 2). Their new Asian fantasy short story anthology Escape From Reality is available online from SG publisher Two Trees, or at bookstores including The Arts House, Select Centre and Books Actually. Check out their blogs for more information. Finally, Pulp Toast / Roti Bakar is their coming snackable fiction zine, featuring genre fiction below 3,000 words. It will be launched on 19th December at Comic Fiesta (Malaysia). S. Mickey Lin talked about the successful Kickstarter campaign for his picture book, Baby Sherlock: The Crumbs of Baskerville. Mickey is also co-editing a short story anthology, Tales of Two Cities, which will be available anytime now. Sign up for his personal monthly newsletter here (interviews with content creators and links to interesting news). Jo Furniss is a co-founder of SWAG Literary Journal, together with S. Mickey Lin. It’s a quarterly magazine and events portal for writers in Singapore, and supported by the Singapore Writers Group, which provides a supportive environment for aspiring and experienced writers. The first issue will be out in late January 2016, and will feature audio interviews with writers in Singapore. The calendar of events is already active. Do send in your relevant updates and it’ll be included on their website as well as Facebook page. Carlo Pena is from the National Book Development Council of Singapore, and he runs the All In! Young Writers Festival. This is a platform for students and professionals to meet and share experiences. All In! 2016 will be happening on 12 and 13 March 2016, National Library Building (along Victoria Street). The programme features conference/panel discussions, film exhibitions, performances, book launches, competitions and workshops on gamification, short story writing, creative writing, creative teaching and book design. New for this year: a pitching session, the launch of the ASEAN Young Filmmakers Exhibition, and more. Programme partners include *SCAPE, SINdie, Write The World, Havas Worldwide (Singapore) and Singapore Writers Festival. The venue was kindly sponsored by AV8 Media. They offer a wide range of video-related training for media professionals, from video editing to colour grading and workflow management. 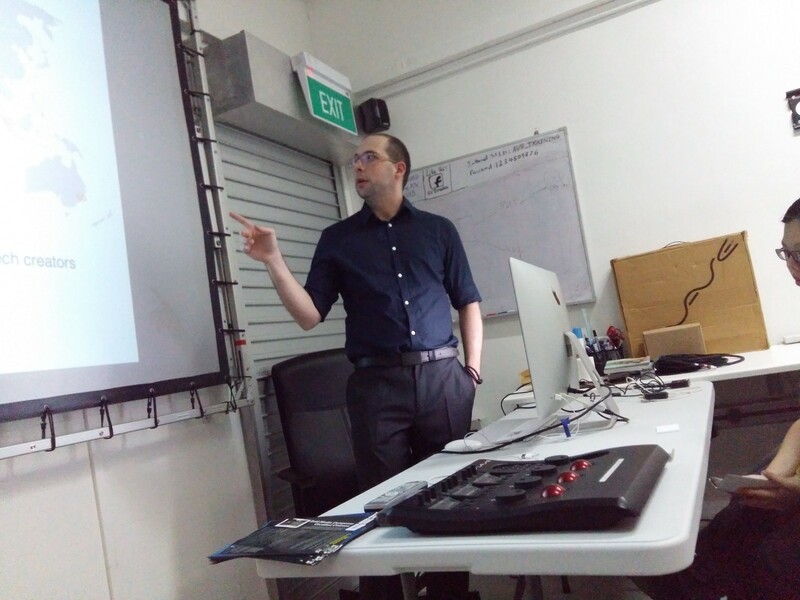 Many of the courses are subsidised by the Media Development Authority of Singapore. Thanks to everyone who contributed to making this meetup possible. 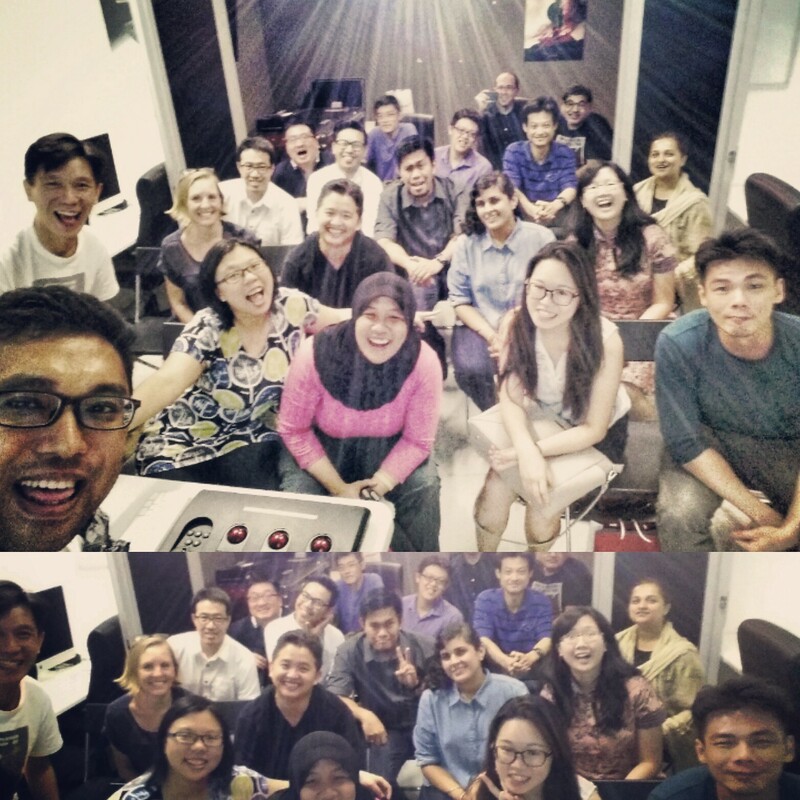 We’re definitely looking forward to the next StoryCode SG session in December. Happy storycoding! 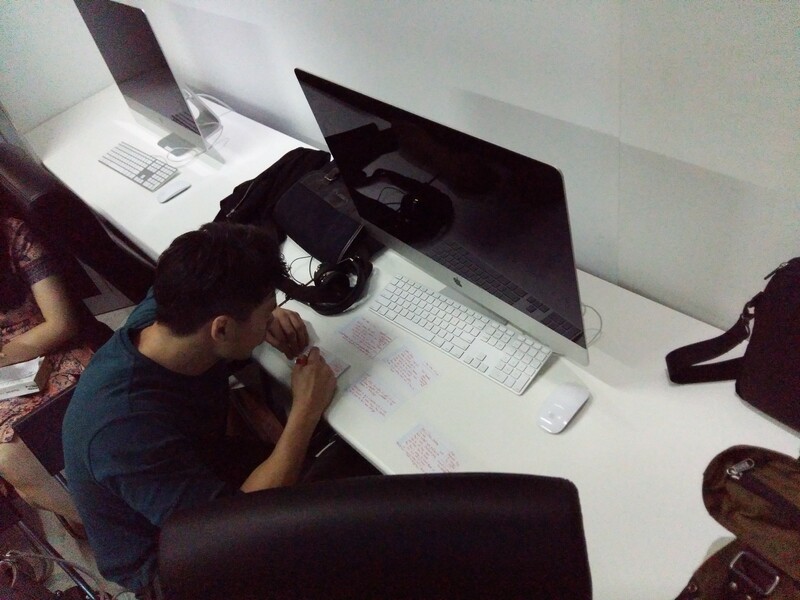 Don Bosco is an enthusiastic member of the StoryCode Singapore community, and recently a co-organiser. His 100 WRITERS project aims to help 100 or more writers publish their stories using storyhacking methods and DIY publishing tools. Download the two free PDF guides: THE OFFICIAL 100 WRITERS STORY WORKBOOK and KEEP CALM AND UPLOAD E-BOOKS. If you’re in Singapore and you have an interesting cross-platform story project to share, do get in touch via our Meetup page.